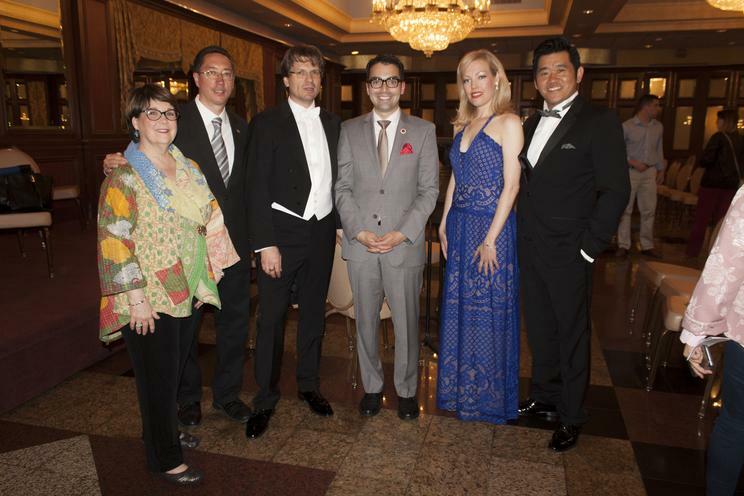 The Queens Symphony Orchestra together with several City Council Members from the Borough of Queens is pleased to present the Queens Symphony Salon Concert Series. ​These concerts reach hundreds of area residents, particularly immigrants with informative and inspiring concerts that they may not otherwise attend. The concerts also instill a love of classical and orchestral music within members of the community, both young and old. As with all other QSO concerts, the series will be free of charge to all attendees. The series consists of intimate, small-scale concerts. Each concert will feature our QSO musicians and focus on a theme which is carefully chosen by the musicians, the Executive Director and the Council Members. The Salon Concerts feature carefully chosen classical and cultural works with interactive talks with the musicians about the works played and their composers. These concerts will allow area residents the opportunity to not only experience the music of their own culture, but the music of the cultures of those that live around them. Each concert is designed to be an international experience wherein people can not only ebnjoy music but have an opportunity to discuss it and learn more about it than they would in a larger, more formal concert setting. All concerts are free to the public, but reservations are required.